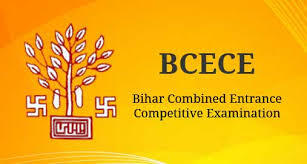 BCECE (Bihar Combined Entrance Competitive Examination) board has been constituted by the Government of Bihar in accordance with the Bihar Combined Entrance Competitive Examination Act 1995. The Board presently conducts Combined Competitive Entrance Examinations (BCECE) for admission in Graduate level Vocational Courses in Engineering, Medical and Agricultural streams available in the Universities, Colleges and Institutions of the State of Bihar as well as those situated outside Bihar against State Quota seats. Bihar Combined Entrance Competitive Examination Board conducts entrance examination in two phases. The first phase is of qualifying nature, the candidates who obtain only a minimum set of marks will be proceeding to the second phase. Candidates who would complete the BCECE Application Procedure by the date given would be eligible to write the examination. The candidates would have to fill the application form online. The required documents have to be submitted to the BCECE Board. Once the BCECE Application process is done, the BCECE Admit Card is released by the Board. The applicant should be a local resident in the state of Bihar. The candidate should have passed necessary subjects like Physics, Mathematics, Biotechnology, Chemistry, and technical vocational subject. A candidate should have obtained a minimum of 45% for General and 40% for Reserved Categories. Candidates in their final year of the qualifying examination can apply, given they pass the examination by the time of counseling. Qualifying Paper for 600 marks for a duration of 2 hours and 15 minutes. The second Phase of question paper consists of 100 questions for 4 marks each. For every incorrect response, 1 mark would be deducted. Application fees would be paid by Net Banking/Credit Card/Debit card or through Bank Challan in any one of the SBI Branches. The candidate appearing for the exam must have passed class 12th (intermediate), from a recognized board having 50% aggregate in Physics, Chemistry and Math/biology. The candidate belonging to the reserved category are given some relaxation in the percentage as per the norms of the government. To register for the exam, candidates are required to visit the official website and fill the online application form part A. 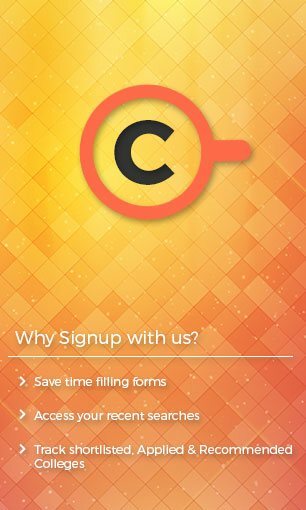 On completion of registration candidates will receive a unique registration number and password, which one must keep safely for future reference. A candidate is required to visit the official website again and submit the application fees (general category - Rs. 660, SC/ST - Rs. 330). The registration number and password will be asked at the time of fees submission. The fees can be paid via challan or online payment gateway. After paying the exam fees, candidates have to fill 'Personal Information' and 'Educational Information' details. It is recommended to scrutinize the form carefully and then submit it. BCECE Admit Cards was Released on April, 15th 2019. For downloading the BCECE Admit Card, the student needs to enter their Name and Date of Birth or by their BCECE Registration No. Make sure to enter the correct Name and Date of Birth as well as correct Registration Number. After downloading the Admit Card for BCECE, candidates must check that their details are as per their BCECE Application Form. Candidate must check for their photograph (it must be same as the one scanned and pasted in the BCECE Application Form). Make sure the photograph attached should be the same. Candidate must check whether their identification specified in the Admit Card is correct. The exam center details and schedule, as well as the details of the candidate, will be displayed in the BCECE Admit Card. The planned and dedicated study is the best way, to sum up, preparation for the BCECE exam. This simply means you need to plan and follow that plan wholeheartedly. Knowing the exact Exam Pattern of BCECE will make sure a candidate have a guided preparation direction. Every student preparing for the exam is different and as such study plans and the execution of the same is also different. First, make a study plan understanding your strong and weak subjects and offer sufficient time for the same. Prepare with the intention of working on your weaknesses and building your strengths. Follow this timetable religiously. If there is the need for coaching please do not waste any time in joining a good coaching institute for the same. However, while doing so modify your timetable so that you can devote sufficient time to personal study and preparing for classes. There is a difference in the exam pattern for both Stage 1 and Stage 2. The Stage 1 exam pattern has sections section such as - Physics, Chemistry, Mathematics, and Biology. Candidates applying for agriculture have to attempt Chemistry, Biology, and Agriculture. Candidates are awarded 4 marks for every correct answer and 1 mark stands deducted for every wrong answer. BCECE 2019 Result has been declared on the official website of BCECEB on June 19, 2019. The Rank card is scheduled to be released on June 20, 2019. The BCECE 2019 Result is in the form of Merit List. The candidates who appeared for BCECE 2019 can access their Result on the official website by providing their Roll Number and Date of Birth. BCECE result is based on the official website of BCECE Board. Candidates can view BCECE Result for Stage 1 and Stage 2 from the website. 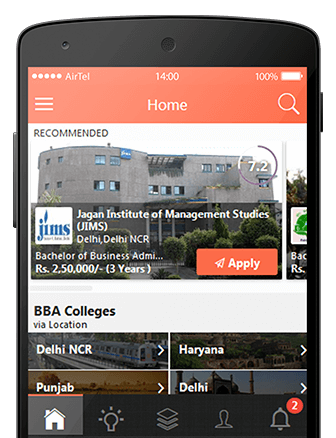 Download the merit list of applicant list with roll numbers. Candidates can match their roll number to find the result. BCECE cutoff is the minimum qualifying score a candidate has to get for participating in BCECE 2019 Counselling procedure. The cutoff is determined on the basis of factors such as a number of applicants, seats that are available and difficulty level. Candidates who score above the cutoff would be considered qualified for the counseling procedure. The cutoff for the Stage 1 exam would be the qualifying marks that the candidates would be required to score to be eligible for Stage 2. 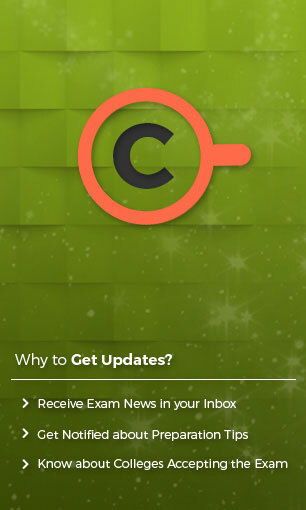 The cutoff is based on the difficulty level of the paper, the average marks obtained and the total number of candidates who appeared for the exam. The expected cutoff for Stage 2 is the same as the table above in order to get a letter for the counseling procedure. They must then report to the allotted institutes for document verification and admissions and remit the specified fees. The Qualified candidates for BCECE 2019 Stage 2 would have to undertake the process of BCECE Counselling for allotment of seats to various Government, Semi-Government and Privately Funded Courses like Engineering/Technology, Pharmacy and Medical. Candidates should register for counseling for BCECE 2019 after the second stage of the exam. The process of counseling would be online, the candidates would have to fill their choices and lock seats before the last date. Candidates would be allotted their seats according to the rank secured in BCECE 2019 Second Stage exam. Candidates would be required to pay counseling fees through Bank Challan. The official website of BCECE is visited. "Apply for Counselling" needs to be clicked. The Seats that are available would be indicated to the candidate to make a choice. Once the required choices are filled, it would display all the filled choices of the candidate. The Change password field helps to reset/change password particulars. Provisional Allotment letter would be given to the candidate. The Provisional Seat Allotment Letter can be downloaded after completing the choice filling procedure. The candidates can check the status of the seat allotment. The printout of the provisional seat allotment letter can be taken and must be at hand of the candidate all times to ensure admission and allotment of seats. The handwriting of the candidate is verified to ensure their allotment. Candidates can download their final seat allotment that would be required during counseling. The candidates should report at the desired venue for verification of document and fee payment. Candidates after clearing the above-mentioned procedure can log in on the website to ensure their allotment by visiting a link that indicates Final Seat Allotment. The candidates are required to report at the specified venue for verification of document and fee payment. 4.They must then report to the allotted institutes for document verification and admissions and remit the specified fees. The Qualified candidates of BCECE 2017 Stage 2 would have to undertake the process of BCECE Counselling for allotment of seats to various Government, Semi-Government and Privately Funded Courses like Engineering/Technology, Pharmacy and Medical. Candidates should register for counseling for BCECE 2017 after the second stage of the exam. Candidates would be allotted their seats according to the rank secured in BCECE 2017 Second Stage exam. Allotment of vacant seats that are available would be as per reservation norms issued by the Bihar Government until completion of the application procedure. Candidates would require registering against the allotted seat after verification of their documents, Photo IDs, and proper medical examination. Seats once allotted to a candidate through BCECE 2019 Counselling on the basis of merit and vacancy whose registration against allotment has been missed/skipped would not be allowed as a choice in the next round. College Leaving certificate has to be produced at the time of registration against allotted seats. The Group preference - PCM/PCB/PCMB should be clearly indicated. At the time of the verification procedure, candidates must be present to validate their allotment. Once the counseling procedure ends, no seats would be allotted in any branch/program/course/institute. Scorecards shall stand dispatched to the candidates once the BCECE 2019 Counselling is over. 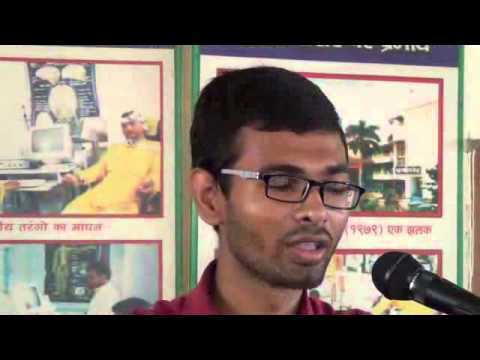 All the disputes for BCECE 2019 would come under Patna jurisdiction. The merit list of qualified candidates is usually declared on the official website. It is based on the marks secured by the students and the total count of candidates writing the exam. The allotment of seats to numerous courses such as Engineering, Technology, Pharmacy, and Medical would be according to the merit-and-seat availability basis. The merit list for two stages is explained as follows:The merit list of qualified candidates is usually declared on the official website. It is based on the marks secured by the students and the total count of candidates writing the exam. The allotment of seats to numerous courses such as Engineering, Technology, Pharmacy, and Medical would be according to the merit-and-seat availability basis. There are separate merit lists for candidates belonging to PCM and PCB Group. A minimum cutoff limit would be determined for the merit lists. Candidates who are equal to 4 times the number of seat intake capacity pertaining to every group would be considered eligible to appear for Stage 2 exam. Those candidates not capable of scoring the desired cutoff would not be eligible to appear for Stage 2 exam. The marks scored in Stage 1 would not be applicable for preparing merit list on the basis of Stage 2 paper. The total marks obtained in Physics, Chemistry and Maths section for the PCM Group and the total marks obtained in Physics, Chemistry, and Biology would be the basis for preparing merit lists for PCM and PCB. In case candidates obtain equal marks in BCECE 2019, the below-mentioned procedure would be mentioned by the Board for deciding tiebreaker. The procedure for various streams would be varied. Medical Courses: Candidates with higher marks in Biology would be given preference. If the tie still exists, candidates with higher marks in Chemistry would be given preference. Above this, the older candidate would be given preference over the younger candidate. Engineering Courses: Candidates with a high score in Mathematics/Biology is preferred. Candidates with higher marks in Chemistry/Physics would be given preference. If the tie persists, candidates older in age would be given preference. Agriculture: Candidate with a high score in Mathematics/Biology would be selected. Candidates with higher marks in Chemistry/Physics would be selected. If the tie still persists, candidates older in age would be selected.